The men and women assigned to the Uniform Patrol Division perform the most visible and recognizable functions of the Sheriff's Office. They are the ones that respond to your calls for assistance. You will find them in your neighborhoods behind the wheel of a patrol car, looking for a lost child, comforting the victim of a crime, or questioning someone who doesn't appear to belong in your neighborhood. Deputies assigned to the Uniform Patrol Division are, quite often, the agency's first line of defense in the county's largest law enforcement agency. Spartanburg County Sheriff's Office Uniform Patrol Division consist of 104 deputies. The Uniform Patrol Division is divided into 4 platoons: Alpha, Bravo, Charlie, and Delta. Deputies work a 12 hour shift. Alpha and Bravo Platoons work day shift from 7am-7pm while Charlie and Delta Platoon work night shift from 7pm-7am. Each Platoon consists of 1 Lieutenant, 1 First Sergeant, 2 Sergeant's, and approx 20-24 deputies. For operational purposes, the Sheriff's Office has divided Spartanburg County into four policing regions. For quicker response those regions have been divided into zones. 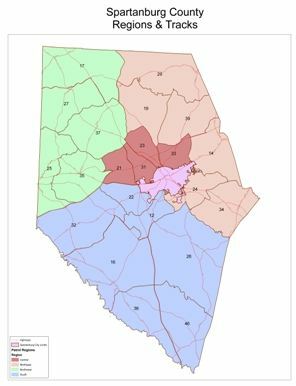 While each region and zone has enforcement challenges unique to itself, all of Spartanburg County continues to experience rapid growth that requires the agency to continually re-evaluate it's policies, procedures, and the way it does business. To learn more on what it takes to become a Spartanburg County Sheriff's Deputy CLICK HERE. The Sheriff's Office currently has 3 Sergeants assigned to the Front Desk at the Sheriff's Office. These Sergeants are responsible for the day to day operation of the lobby at the Sheriff's Office located at 8045 Howard St, Spartanburg, SC. Many duties include taking reports from the public, answering phones, the monitoring of the NCIC terminal at the Sheriff's Office, and the storage and recording of active Order's of Protections and Restraining Orders. The Sheriff's Office current lobby hours are from 7:00 am - 12 midnight, 7 days a week. If you arrive at the Sheriff's Office after hours a Courtesy Phone has been placed in the outer lobby that will connect you to the Spartanburg County Communications Center and a Deputy can be dispatched to speak with you. 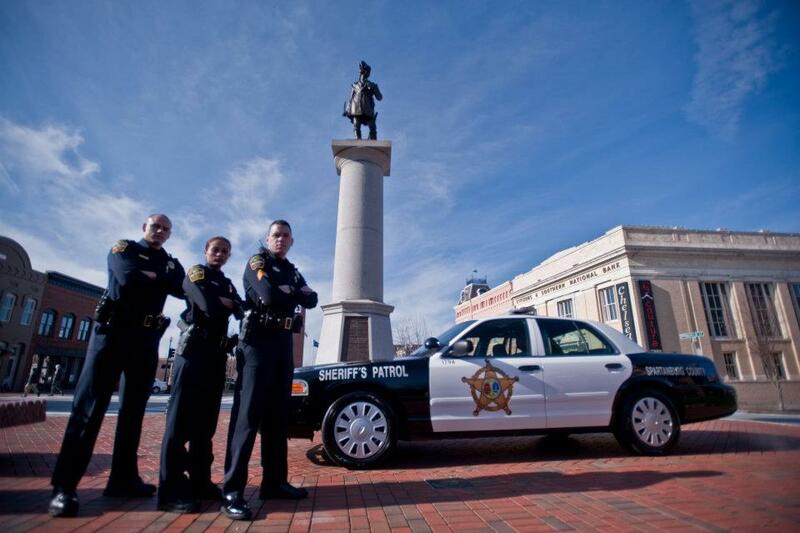 The Spartanburg County Sheriff's Office currently maintains a Reserve Officer program . The purpose of the Reserve program is to supplement the full-time force. The powers and duties of Reserve Officers shall be prescribed by the Sheriff, and they shall be subject to removal by him at any time. All Reserve Officers are required to successfully complete a basic training course that has been approved by the South Carolina Criminal Justice Academy and deemed by the academy to be comparable to the training received by full-time officer.